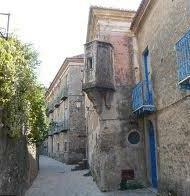 Acciaroli is part of the municipality of Pollica, within the National Park of Cilento and Vallo di Diano. Acciaroli is a popular tourist destination: it has been able to combine the development of services to tourism with a strict respect for the environment and the sea. The coast receives each year to recognize the Bandiera Blu by FEE international body that works for sustainable development through environmental education. Acciaroli maintains the characteristics of an ancient fishing village of small houses made ​​of stone, narrow alleys and cobbled twisted, restaurants and shops along the streets characteristic. L Incanto del Mare is located near the small beach of sand (within also walk from the marina). At about 100 meters from the B & B there is also a stone beach that reaches to the rocks of the Caleo , where the water is crystal clear. By plane: - Naples Capodichino Airport, take the highway A3 Napoli-Salerno, exit Battipaglia, continue on SS 18 to Paestum, Agropoli south take exit, direction S. Maria di Castellabate. 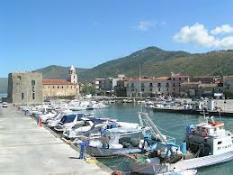 By Train: - Agropoli Station and then by bus to Acciaroli, or Ascea Station and then taxi to Acciaroli. By car: - From North Rome-Caserta-Salerno then A3 Salerno-Reggio Calabria, exit Battipaglia or Eboli continue on the 'road 18' in the direction of Paestum, exit at 'Agropoli Sud' in the direction S. Maria di Castellabate. Acciaroli negli anni '50 ha ospitato diverse volte lo scrittore premio Nobel Hernest Hemingway. Acciaroli, in 1860, also briefly hosted another great writer Alexandre Dumas, author of novels such as "I 3 Moschettieri" and "Il Conte di Monte Cristo." On that occasion, Dumas was carrying, with its the schooner Emma, a load of guns aimed at Garibaldi inpegnato in the company of the Thousand. Recommend to visit the church dedicated to the Annunciation was built in 1100 and restored several times, flanked by a bell tower. 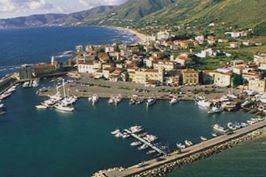 Staying in Acciaroli you can visit the 'Costa del Cilento', heading south to Palinuro, Marina di Camerota then returning to the interior of the park, enjoying the specialties (there are many summer festivals). Heading north we reach the Amalfi Coast, Agropoli, the island of Capri by hydrofoil that every summer sailing the seas. About an hour's drive you can visit such as Paestum, with its spectacular temples and its museum and Velia.